Grandview, Nov. 24th, 1877. Mr Jos. 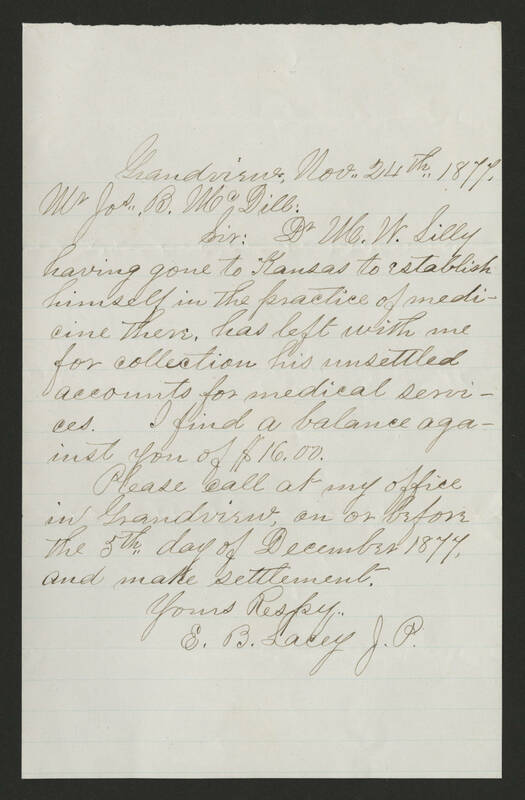 B. McDill: Sir: Dr. M. W. Silly having gone to Kansas to establish himself in the practice of medicine there, has left with me for collection his unsettled accounts for medical services. I find a balance against you of $16.00. Please call at my office in Grandview, on or before the 5th day of December 1877, and make settlement. Yours Respy, E. B. Lacey J.P.